DiBENEDETTO, David B. (1943-2018) Of Dedham formerly of Hyde Park, passed away peacefully November 28, 2018. David is survived by his two children, a daughter Julie Molliver of Walpole and a son Jonathan DiBenedetto and his spouse Stephanie of Attleboro. James Milton “Jimmy” Purcell Jr.
View The Obituary For Clifton Gordon Stone III of North Andover, Massachusetts. Please join us in Loving, Sharing and Memorializing Clifton Gordon Stone III on this permanent online memorial presented by Conte Funeral Home. View The Obituary For Mabel K Pimental of Tiverton, Rhode Island. Please join us in Loving, Sharing and Memorializing Mabel K Pimental on this permanent online memorial presented by A.F. Almeida and Son Funeral Home. 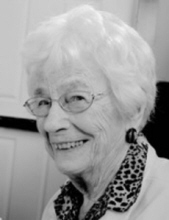 Marie R. (Cristofori) Oliva, 91, of Buzzards Bay died November 24. She graduated from Bourne High School with the Class of 1945.